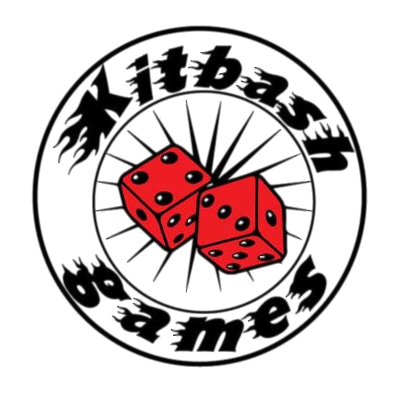 Kitbash Games: Kitbash Contest Time! As we continue to build the Kitbash range of supers miniatures, we are creating chances to win one of our prototype Doc Cosmos miniatures. The way to enter the context is simple - sign up to this blog as a Follower and comment on this post, saying what you would like to see from Supers Unlimited (only comments posted in the comments section will count); one comment per Follower will be counted, and any comments including profanities, insults or referencing other companies' IP will not be counted towards the competition. 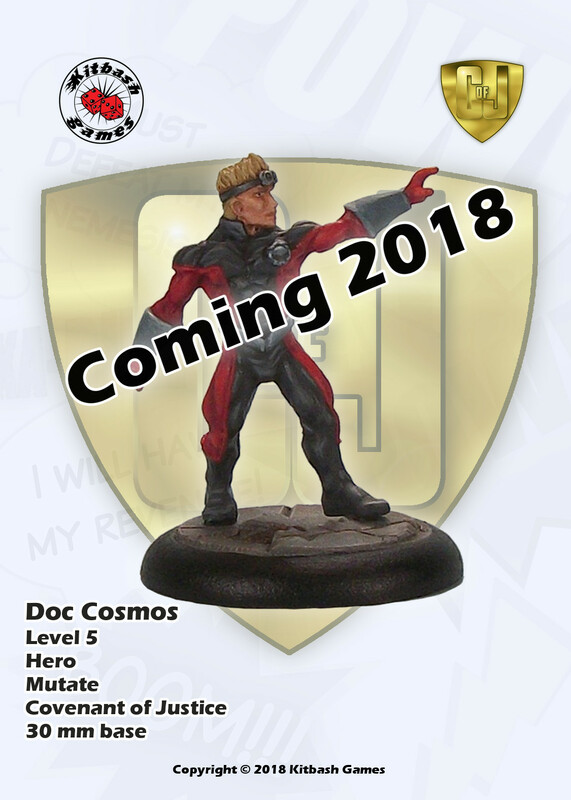 When the blog has 25 Followers, we will set a date to randomly draw a winner of one Doc Cosmos miniature from Followers commenting on this post. If the blog gets to 50 Followers we will do another contest post for a second prototype Doc Cosmos miniature contest, and the same again for a third prize if the blog gets to 100 Followers. I think he needs a hapless but well-meaning sidekick. The Astrologer! 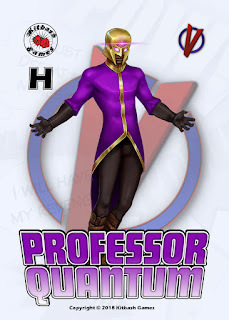 Has no powers, but spouts vague non specific pseudo wisdom. Awesome! will share on my blog when I get chance. have a ton of experience in the sector. I had a ton of fun creating characters for the Necessary Evil RPG some years ago. Also, sidekicks! Not everyone needs to be o so powerful 😉. I would very much like to see a brute, maxed-strength hero or anti-hero with bulging muscles and both fists raised. Sort of like an ultimate brawler! Excited to see where this line goes! Loving the stuff so far, I would like to see a covenant of just e clean up team, to follow on after Cowl. Woo! Customisability is key I think! I'd love to see a super with stretchy powers get their due. Most games have avoided them, which is fair since they could be very powerful given a little creativity. Which might be hard to model in a game. I'd like to see a ruleset interfacing with scenery large and small so it doesnt all depend on the miniatures and their skills. Espescially with a low number of figures its replayability and differences could be handled by a ruleset doing just that. Fantastic idea. Hope to see some fun powers effects sculpted and available to go with the cool hero sculpts. Keep up the good work! great miniatures Leon...what do I want to see in the future? Maybe those plucky teenagers from the 27th century "The Future hero's club"? especially that team hot-head "Kid Comet"! my favorite issue is #213 when they crossover with the Icons of Justice and fight each other! Marvelous! More Super figures!! I shall be following this with interest! Thanks guys! We hit 25 Followers and the first contest winner has been randomly chosen, and will be revealed on Friday! Maybe we need to do another contest at 50 Followers? Following!! Let's go for 50!